Sometimes.. With just a little imagination, you can add some extra nutrition to your favourite meals. This morning I decided to add linseed (flaxseed) meal to the kids’ pancakes. I’m happy to report that they were demolished within minutes…and linseed meal has now been officially added to my pancake recipe. Linseeds are an excellent source of health-benefitting nutrients including omega3, fibre, minerals, anti-oxidants and vitamins. Sounds too good to be true? Well yes, there is a little bit of fine print involved with getting masses of nutrients out of one teeny weeny seed. Due to the tough exterior of the seeds, they need to be crushed so that they can be digested, otherwise they simple pass through your digestive system whole. You can either blitz them yourself or purchase them alread y ground. If you chose to buy them already ground, store them in an airtight container in the fridge to help preserve the beneficial omega3 fatty acids. 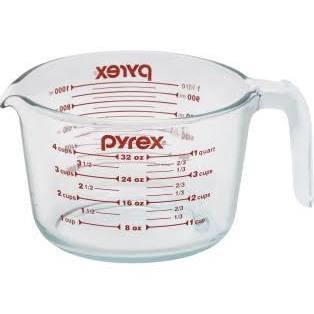 I like to mix my pancakes in a measuring jug, as it makes for easy pouring later. Whisk the eggs with a splash of the milk. Add the flour and linseed and mix until all the lumps have disappeared. Stir in the remaining milk and vanilla. It is best to allow the mixture to rest for 30 minutes. You can make it at night and have it ready to go in the morning. Preheat a non-stick fry pan (without the butter). You will need to use a medium to high heat. I like to cook the pancakes quickly so that they don’t dry out. Once it is hot, add a little of the butter. Swirl it around and mop up the excess with a paper towel. Keep the buttery paper towel. Do NOT shake or tip the pan. You will notice bubbles appearing, then popping on the surface of the pancake. After a few seconds, you will see them popping and creating little craters on the pancake. Turn immediately. Allow to cook for just a few seconds on the other side. Remove from pan. Continue cooking individual pancakes until all the batter is used up. If the batter is beginning to stick to the pan, you may need to rewipe the pan with the buttery paper towel.